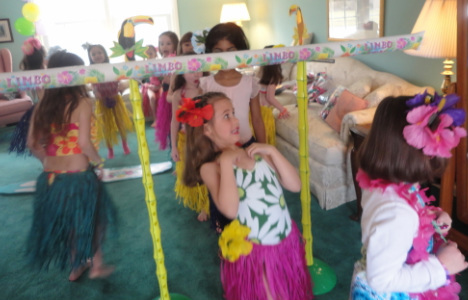 The luau party entertainment is provided by two hosts. 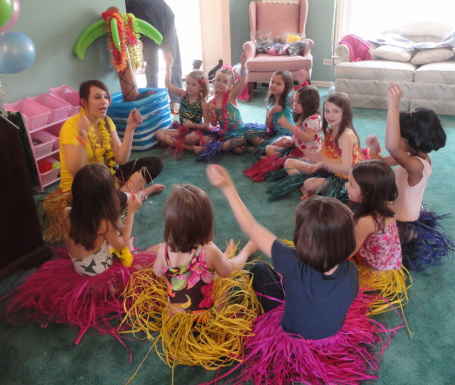 and rings), mini makeovers, Hawaiian tattoos, lei craft, hula dance instruction and party games. into the dress up outfits. 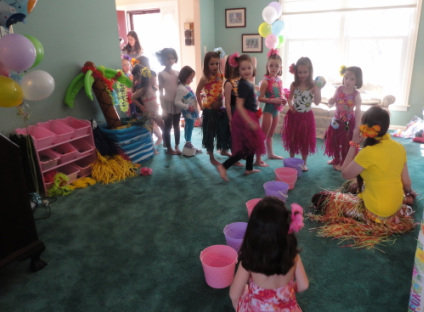 * Colorful seashell and luau bubble gum coin hunt. Hawaiian luncheon (Add $5.99/person) Palm tree shaped sandwiches, fruit snacks, chips and juice or soda.